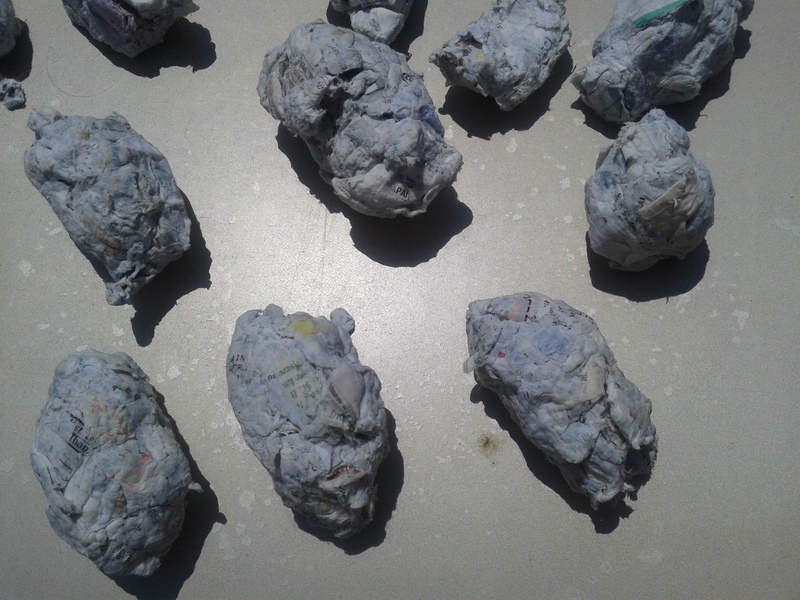 I pulped paper, and then made these balls of pulp. I was hoping that this would be more secure than shredding, but I’m not sure it is. There are still some large bits of text visible in the balls. Early in the process, I figured that if I couldn’t get the balls safe enough, I could burn them. So, I dried them off a few weeks, and then used several to start a charcoal fire. It worked pretty well. The main problem with pulp balls is that they take a while to light up. Once it’s going, though, it burns pretty hot, and the first ball can be used to ignite more. These, in turn, can be used to ignite charcoal, which burns slower. My normal recipe is some sheets of paper, some twigs of wood, preferably greasy, and charcoal. I light the paper to start the wood, which is eager to burn. Then the wood lights up the charcoal. I found it easy to start a charcoal fire with pulp balls. You just pinch out a wick, light it, get a couple balls going with a little fan, and leave it. It’s almost as easy as Match Light charcoal, which is infused with oils and waxes to burn easily. 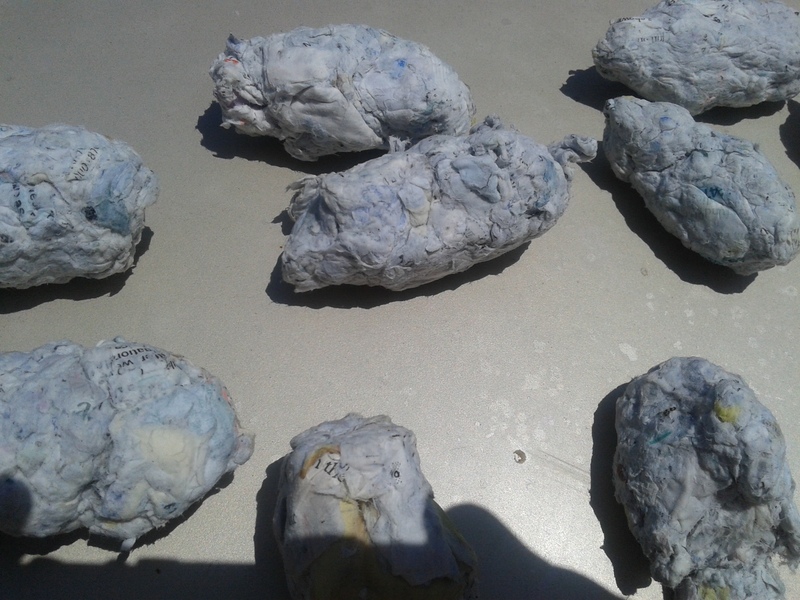 The only “trick” is to pile up the paper balls, and then pile the charcoal on top. Expose one part of the paper mound to the air, so it’ll burn. This is all pretty basic.